“Fortunately, he listened to us as the first citizen of this country and he saw the importance of this festival and he immediately agreed to fund its preparatory process part of which is the repair of the facility to allow Uganda a chance to host the one weeks long regional function with pride and honour.” said Odongo. He made the remarks during a press briefing on Monday this week shortly after the board’s inspection of the works whose first phase was, by then in final touches. He told the press that President Museveni gave a directive last year, to the Ministry of Finance through the Ministry of Gender, Labour and Social Development to make available Ushs 3bn for the renovation of the National Cultural Center albeit in three phases, the first of which has been competed this week according to Odongo to allow the festival to get underway and thereafter, embark on the remaining two phases involving the second and third floors. Commenting about the quality of work done so far, Odongo thanked Workers of Ambitious Construction Company, the contractors in charge of the project for a job well done. “We are contented with the quality of work so far exhibited by our contractor in this first phase of the renovations process. I have no doubt it is now a pride for many artists in this country,” Odongo said pointing out the parts of the facility whose repairs have been completed including the stage auditorium, dressing rooms, lounge and bathrooms all refurbished to modern standards. He however noted that the pews in the main auditorium weren’t replaced, among other things including some doors which he said were only painted due to time constraints but he added that they will be fixed soon after the second phase gets underway. 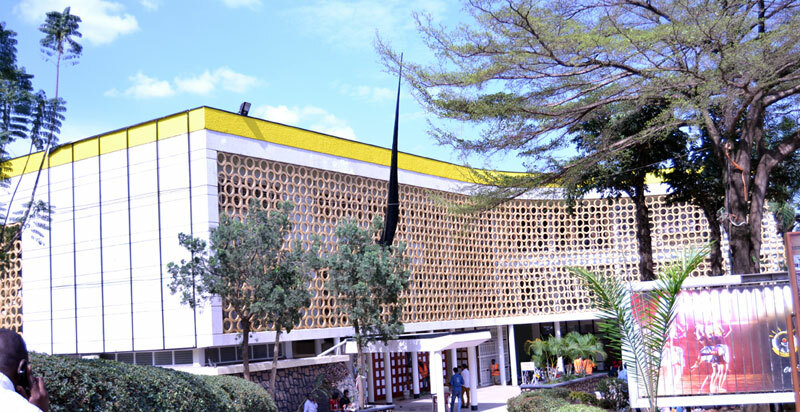 Meanwhile, the National Theater Board of Trustees has been dragged to the High Court by the Civil Society which is accusing them of plotting to demolish the Iconic building to give way for a twin tower proposed to be constructed on the same spot. JAMAFEST is the East African Community’s flagship cultural event which is held every after two years on a rotational basis within the member states of the East African Community with a view to show case culture as a major driver of the East African Integration. This year’s version of the fest kicked off this morning at the Kololo Air strip, the main venue of the festival and will wind up on the 15th of this month.